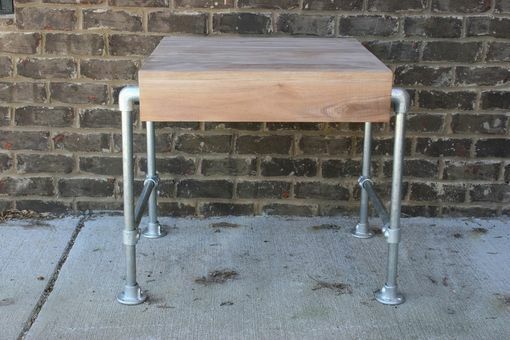 This is a unique table that kinda looks like a mix between a robot and and end table. 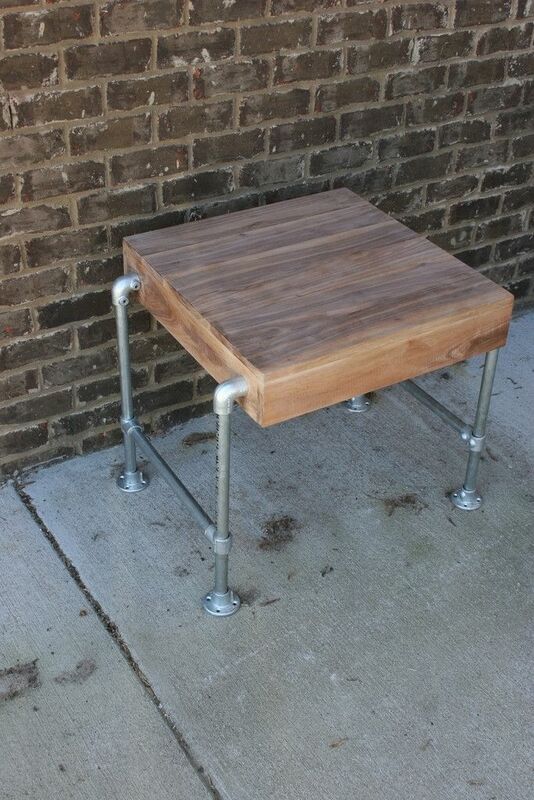 This table has a walnut top, can change top, with 1" galvanized steel pipe for the legs. 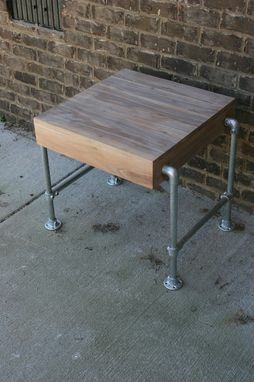 This table also has a console table, dining table, and coffe table as part of the series. 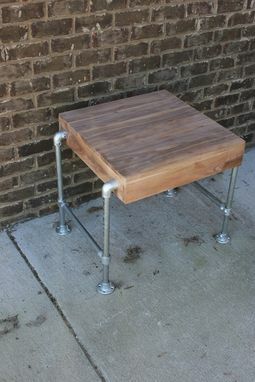 Table can be custom made for you home if needed.